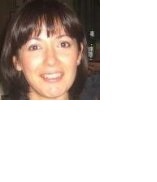 Veronica Sanchez-Romaguera joined the Enterprise Centre in November 2013 as a Lecturer in Enterprise at The University of Manchester since November 2013. In 2005, she obtained her PhD in Chemistry from The University of Manchester on the subject of Single Molecule Magnets for Quantum Computing. She holds a MSc in Physical Chemistry from Leiden University in The Netherlands, and a BSc in Chemistry from the University of Valencia, Spain. In 2007, she completed a 1 year MEDICI Enterprise Fellowship from the University of Birmingham, aimed at research staff exploring the commercial potential of research or involved in commercial development projects. In 2008, she obtained a PGCert in Enterprise in Higher Education from the University of Manchester. In 2009, she completed a SEDA professional certificate in student support and guidance. In 2017 she became a Fellow of the Higher Education Academy. She is a member of the University’s Embedding Sustainability in the Curriculum Community of Practice committee. In 2015, she was part of the team receiving a University of Manchester Making a Difference for Social Responsibility Award (commendation) for the on-going commitment to embed sustainability and global citizenship in the university curriculum. She is a regular mentor and judge for several ideas and business plan competitions such a Venture Out, Venture Further, Eli-Harari Graphene Enterprise, Falling Walls, Unilever Sustainable Living Young Entrepreneurs competition, etc. She is the Programme Director for International Fashion Retail-Business Pathway Improvement, led by the School of Materials. Her current teaching curriculum includes: Enterprise and Sustainable Development, Engineering and design for sustainable development, Circular Economy, Business ethics and CSR, Innovation and Commercialisation of Research, Enterprising skills for engineers and scientists, Chemistry and Industry. Prior to joining the Enterprise Centre, her experience includes 8 years working on technology and business development both in academia and industry. For 5 years she worked as Research Associate at the Organic Materials Innovation Centre (OMIC) based at the University of Manchester, centre aimed to help companies innovate and grow through access to leading edge science in materials. Whilst working at OMIC, she complete a 1 year MEDICI Enterprise Fellowship from the University of Birmingham, aimed at research staff exploring the commercial potential of research or involved in commercial development projects. At OMIC, she contributed, initiated, secured funding and led a number of multidisciplinary research projects in the area of formulation and digital deposition of functional materials for a wide range of applications including plastic, paper, textile and on-body electronics (TFTs, RFIDs, FSSs, etc). One of her research contribution highlights regards DIGINOVA (Innovation for Digital Fabrication) project which mobilised European materials researchers and industrial entrepreneurs to map the most promising applications, key technology challenges and new business opportunities to provide guidance for innovation and enhancement of Europe’s competitiveness in digital fabrication technologies. Project which resulted in the first-ever European Technology Roadmap for Digital Fabrication. In 2013, in collaboration with Prof. Cinzia Casiraghi, she pioneered the first graphene water-based inkjet ink. Work which resulted in IP (WO/2015/114354) and securing the prestigious Eli and Brit Harari £50K Graphene Enterprise Award which was used to set up ThInk2D Ltd. in 2015, a spin-out of the University of Manchester. The company was shortlisted among 200 entries to pitch for funding at the Royal Society of Chemistry Emerging and Enabling Technologies 2016 competition. Further IP exploitation is being managed by The University of Manchester Intellectual Property (UMIP). She also contributed and led several OMIC business development activities such proof-of-principle studies with resulted in new product development (eg, Eastman SolusTM 2100 performance additive for inkjet printing) and successful grant applications such the £800K EPSRC Research Infrastructure award to fund the Manchester Centre Digital Fabrication, launched in 2014. Further to that, in collaboration with Xennia Technology Ltd. and IMI Europe, she co-developed and co-delivered a 4-day residential Executive Education International Programme, The Inkjet Academy, attended by industrialists across the globe. She worked as Consultant for Nanoco Technologies Ltd., a spin-out of the University of Manchester, before joining the company full-time in 2009 as a Senior Scientist. Working closely with European and Asian clients, her work primarily focused on NPD in the area of Quantum-Dots based LEDs, luminaires and photovoltaics.